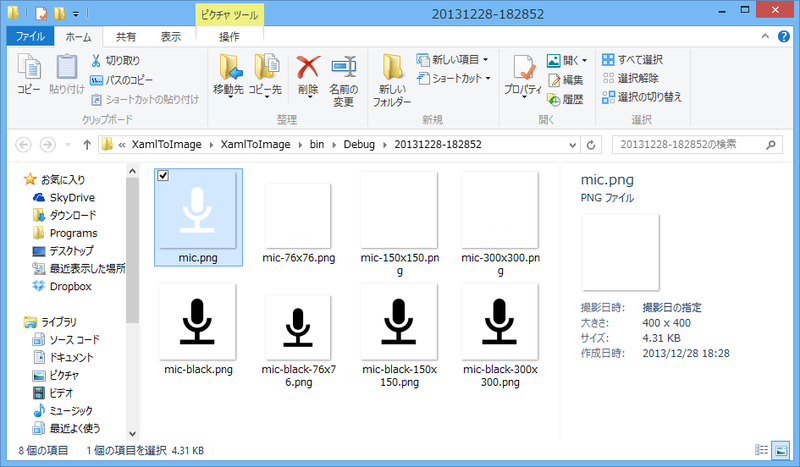 Project templates which convert XAML to image files. 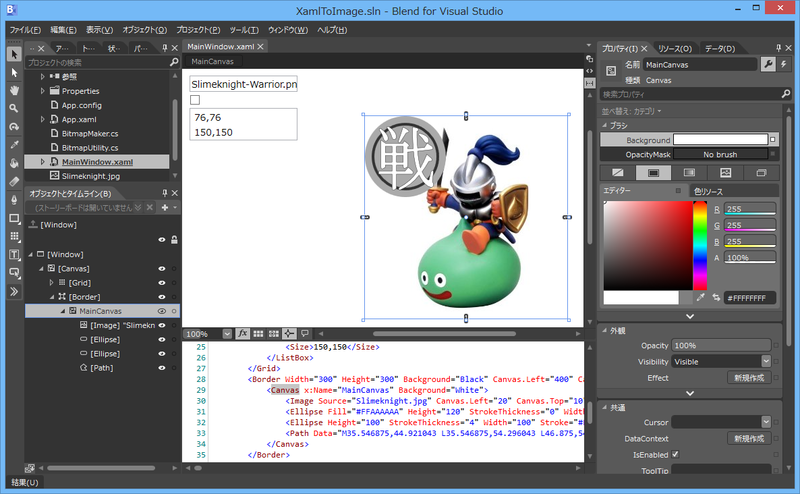 "XAML to Image" is a set of project templates for Blend for Visual Studio and/or Visual Studio. 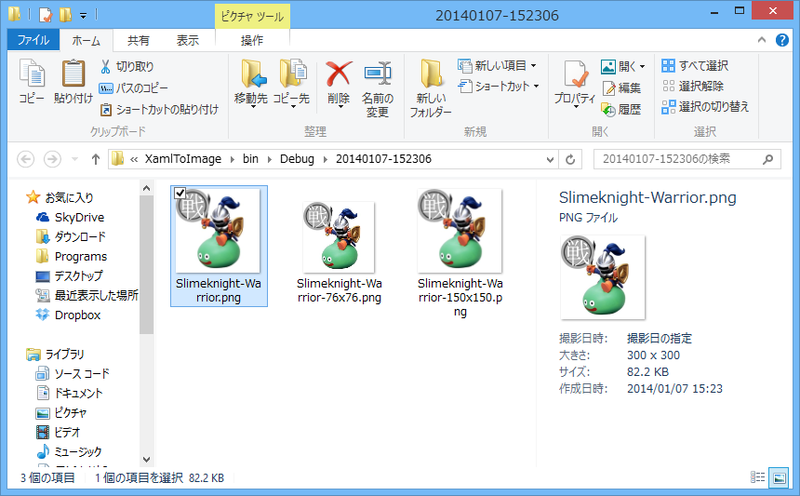 By using the templates, you can design images or icons as XAML, and export image files such as PNG, GIF, etc. 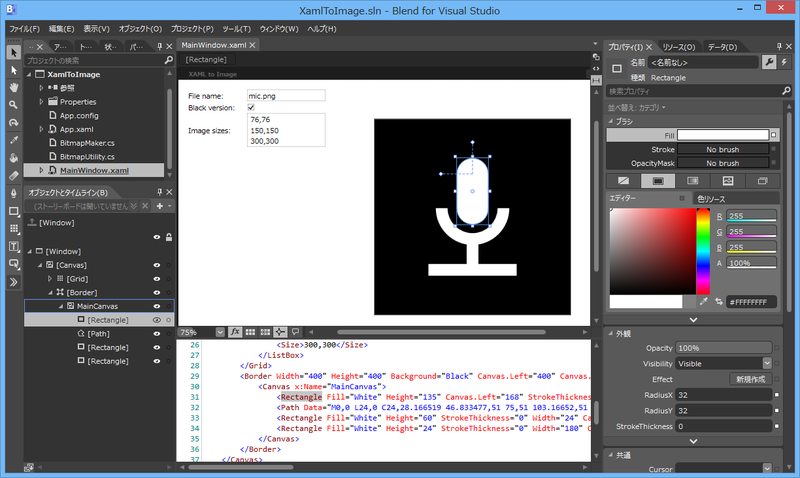 Edit XAML with Blend for Visual Studio. Run the app, then image files are created. Visual Studio 2012, or later. You can customize this template to suit your needs, such as file naming rules or adding dynamic image effects, etc.